Produktinformationen "Inzer - Elbow Sleeves XT"
Elbow Sleeves XT are better than wrapping your elbows because Elbow Sleeves XT are more comfortable, and adjustments are quicker and easier. Adjustments in position and tightness can be made anytime with very little effort. 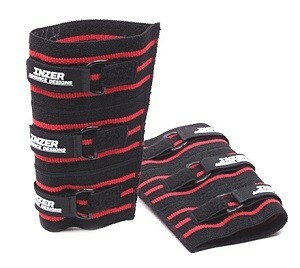 Weiterführende Links zu "Inzer - Elbow Sleeves XT"